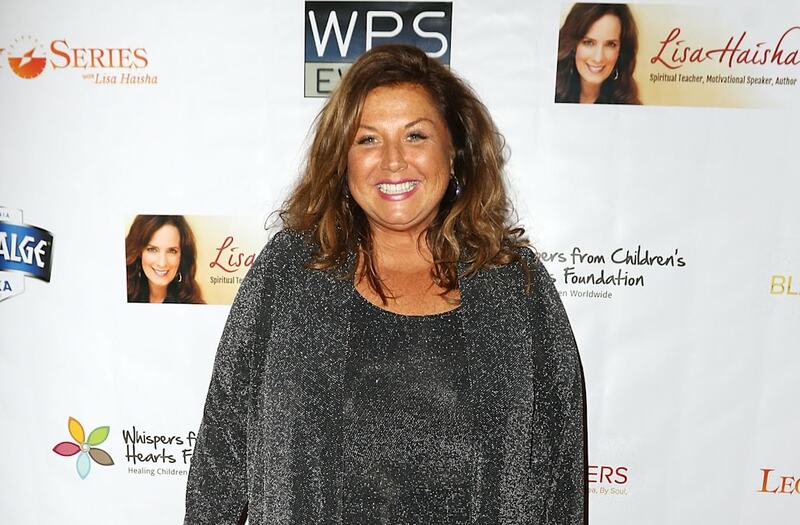 Abby Lee Miller has plenty of thoughts on her dramatic exit from Lifetime's Dance Moms. Miller quit the show with an angry Instagram post on Monday, and in an exclusive sit-down with ET on Wednesday, she talked about her reasons for leaving the popular reality series, as well as the show's new choreographer -- Dancing With the Stars' Cheryl Burke. "I think that's great," Miller tells ET's Nischelle Turner about Burke joining the show. "I only met her once at a housewarming party a couple weeks ago. I'm glad that someone who has worked on a network show for as long as she has on Dancing With the Stars is going to see what I've been working with for seven years." "I don't think she's replacing me, I think it's going to be a different vibe," she adds. But Miller does believe that Burke will get better treatment and a much bigger budget. "Wait until Cheryl Burke deals with [no costume budget]," she says. At Dancing With the Stars, they have two floors -- an entire building of seamstresses sewing, rhinestoning, fringe -- she's going to have to run downtown to Santee Alley and buy something off the street in her own car, at 4:30 in rush hour traffic after we wrap, when everything is closing, because that's what I did for six years." "I bet you she's treated differently," she continues. "I bet you the budget is completely different, and I bet you she is never driving her car, with her gas, getting parking tickets that she has to pay, walking up and down the streets looking for fabric on her feet." She also makes it clear that she didn't quit the show because of the possibility of jail time, after she pleaded guilty to bankruptcy fraud last June. Miller is still awaiting her sentencing. "I chose to quit because I don't want to fight for a great idea, I don't want to fight for better music, I don't want to fight for a bigger costume budget," she stresses, fighting back tears. Miller says she felt deeply disrespected by Lifetime and the show's production company. ET has reached out to both Lifetime and the production company. "[They] look at me like I was this down-and-out podunk dance teacher from Pittsburgh that they saved," she claims. "I think the word 'respect,' the word 'trust,' and the word 'thank you' was missing from my relationship with the production company." "The producers, I literally have to say, 'Where the red carpet stops, you stop. Look down at the floor, is that red carpet?' I have to talk to him like he's three years old," she claims. "They continually come into my backroom, this is every morning -- Wednesday, Thursday, Friday, and sometimes Saturday -- with the boom [mics], disgusting." However, a source close to production previously told ET that Miller was becoming unreasonable, and had also started making demands after taking a three-week hiatus. "She's spiraling and making decisions that most people would think are not smart," the source said. Miller also tells ET she also felt manipulated during filming, and claims that producers once made her push her dead dog in a stroller. "My dog died on TV, they made me put the dead dog in a stroller and push it like she was still alive, and I did it," she claims. "What was I thinking? They manipulated me, and they just got in my head and you just get to the point where you just do it because you can't argue anymore. I can't say, 'That's stupid, that would never happen, nobody would ever do that, that's not real, that's not reality' -- I'm a dance teacher." However, our source tells ET that Miller's dog was not actually in the stroller in the scene in question. "She wanted to shoot the stroller scene," the source says. "Production would never make her put a dead dog in a stroller." Another source close to production told ET on Wednesday that all of Miller's claims are "simply false. Full stop." Still, despite Miller's obvious issues with the production of the show, she insists to ET that she wasn't fired by Lifetime. In fact, she claims the network is still expecting her to come to work. "I was not fired," she claims. "I haven't even heard from them yet, and I got a call time for today -- let's make that clear, I still got a call time to come to work today." Later, Miller makes her feelings clear on if she'll ever return to the show, when asked if she'd ever consider it once the "dust settles." "The dust is not gonna settle until that producer is dead and they cremate him and the dust is there," she says. "That's the dust." ET has learned that the current season of Dance Moms that finished taping last week was shorter than normal because of Miller's schedule. Burke will appear as a guest choreographer, as is standard practice when Miller is unavailable. Other choreographers that have or will appear on Dance Moms include Debbie Allen, Travis Payne, Aisha Francis, Erin Babbs, Nakul Dev Mahajan and Laurieann Gibson, among others. Our previous source tells ET that staff is pleased that Burke is stepping in to fill in for the rest of the season. "She will be professional," the source says. Watch the video above for more on Miller's abrupt Dance Moms exit.